Good counselling combined with the unique Widex Zen Therapy can help you get on with your life. We carry out a complete hearing assessment including Audiometry. 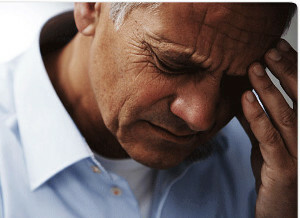 We will discuss your tinnitus and grade your perception of its severity. Based on this evaluation and your answers to our questions we will discuss pssible treatment options with you. Management of your tinnitus may include the use of hearing aid amplification, sound therapy or a combined approach. In Cases where there is no hearing loss is or it is not severe enough for treatment. We would prescribe sound therapy devices. Sound therapy has proven to be an effective management tool for many people who suffer from tinnitus that isn't associated with underlying hearing loss. The sound Therapy that we would normally use would be Zen from Widex, a proven sound therapy strategy that delivers results for many Patients. A new and unique approach to tinnitus management is Widex Zen Therapy which has a proven track record of helping people with tinnitus. Widex Zen Therapy uniquely combines the Zen sound stimulation, counselling, stress reduction and amplification - all depending on your level of tinnitus. How Does Widex Zen work? Widex’s unique Zen Therapy is a program on Widex hearing aids that helps relieve your tinnitus by playing completely random, soothing harmonic tones. They call it a spa for your ears. There are several harmonies that can be used and they are completely customisable. We can change the overall tone and tempo of the harmonies so we are confident that we can customise one for you. Sound stimulation – listening to repetitive Zen fractal tones can reduce your tinnitus related stress. Looking For Relief From Your Tinnitus ?